When our skin is not properly protected, the sun may just be its greatest threat. Sun exposure damage is both cumulative and cunning. It is like a computer virus that enters your body whenever an opportunity presents itself. Little by little it destroys your DNA and when the effects on your skin start to be obvious, it may already be too late. Actress and host Anne Curtis reveals that it was never her habit to apply sunscreen on a daily basis. “Before, the only time I think of putting on sunscreen is when I go to the beach. But Dr. Vicki Belo helped me realize that I need to use sunscreen everyday.” True enough, Dr. Belo believes that sunscreen is the best anti-aging product there is. She even iterates, “sunscreen everyday keeps the wrinkles away”. As part of its continuous innovation in creating expertly formulated sun care products, the Belo Authority proudly introduces one of the first tinted sunscreens in the country, the new Belo SunExpert Tinted Sunscreen. It offers the superior sun protection you need with the perfect skin coverage you desire. 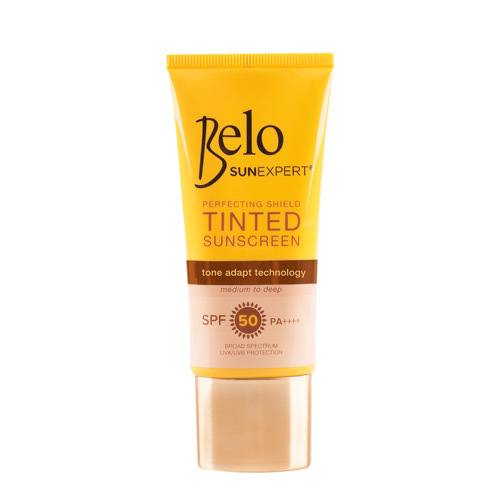 Belo SunExpert Tinted Sunscreen is rated SPF50 and PA++++ for broad spectrum protection against harmful UV rays. Its light tint benefits from Tone Adapt Technology that evens out your skin tone and conceals fine lines, wrinkles and dark spots. And it has Cell Protect defends against premature skin aging. Expressing her delight on this new beauty discovery, Anne shares that the Belo Sun Expert Tinted Sunscreen has now become her daily sun protection and quick makeup fix in one. “Now I can have both sun protection and that perfect no makeup look in just 15 seconds! And I love how my skin instantly achieves a natural flawless finish.” Be beautifully protected everyday with Belo SunExpert Tinted Sunscreen. Available in your nearest department store, supermarket and drugstore nationwide.